This month’s e-mail is meant to remind you to stay organized through these busy months. We are already halfway through the awards year, so you should have already started your Dropbox or similar online document storage method. Documentation is the key to a successful awards submission with meeting minutes being the largest part of the documentation. Other key documentation includes approved board minutes, newsletters, flyers and any membership communication. Create folders in Dropbox for each type of document. Make sure the meeting minutes include the meeting date and time, speaker, CE completed, i.e. course #, any other topics discussed or completed. The information doesn’t need to be extensive, but it needs to be there. The minutes are used in almost all areas of the award application. Highlight the specific areas as you store them in the online folder, it will eliminate a step when submitting the application. Make sure your chairs know what is needed and that they are accountable for providing you with the information. Create separate folders for events, media, and educational CE. Starting these steps sooner makes the award application compilation and submission so much easier. REMEMBER, 50% of the submitted applications will earn an award! If you don’t submit the chapter will never win. 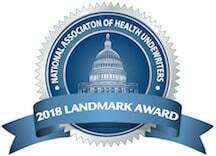 Awards at a Glance Matrix, is a list of all the NAHU awards that are available. It can serve as a useful guide when deciding what awards your chapter or members should apply for. 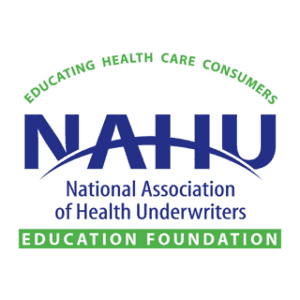 NAHU has so many members deserving of recognition for their contribution. Ask your board to identify candidates. It doesn’t need to be a secret. Any member can nominate themselves or a fellow member for an award. Osler Award recognizing excellence in Professional Development. Many chapters have a Professional Development Chair that delivers multiple CE programs throughout the year. If your chapter is one of these chapters, check out the requirements, you probably have what it takes to be the next winner. Wetzel Public Speaking Award recognizes members who make presentations to chapters, the general public, and other outlets. Is there someone deserving of this recognition in your chapter? Wishing you all a Successful 4th quarter and Happy and Blessed Thanksgiving Holiday! Questions or help, please reach out to your state or regional awards chairs! As a reminder, the awards submissions for 2018-2019 will only be accepted online. No hard copy binders will be accepted. If you need help, please reach out to your State Awards chair or email me at Kathy.Goffer@theHSAauthority.com. Individual and Chapter awards are due April 5th.